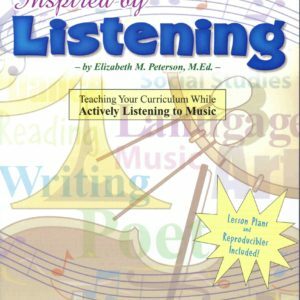 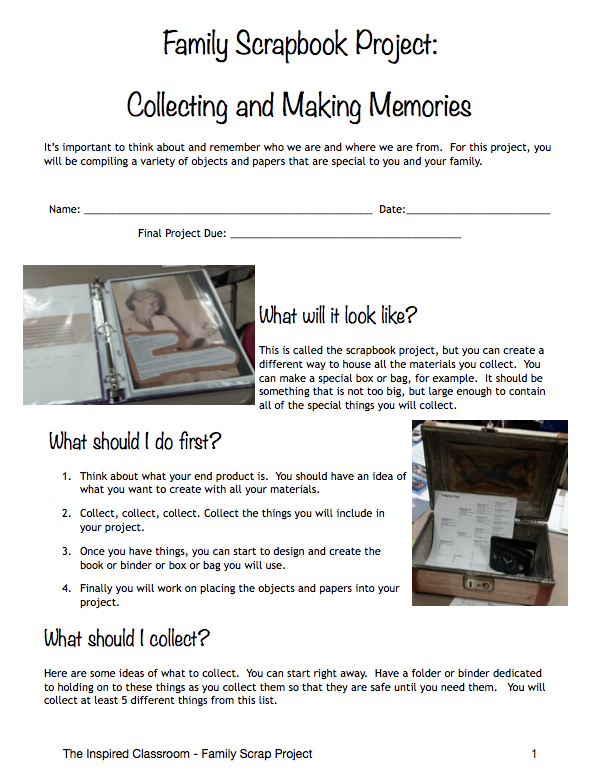 Encourage your students to discover and explore their own stories with this 39 page complete project eResource! 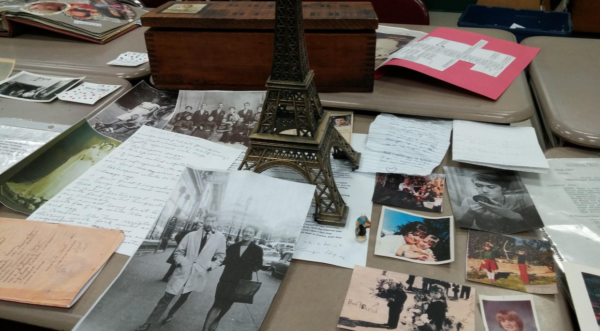 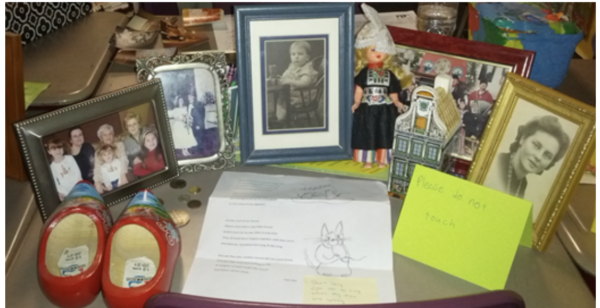 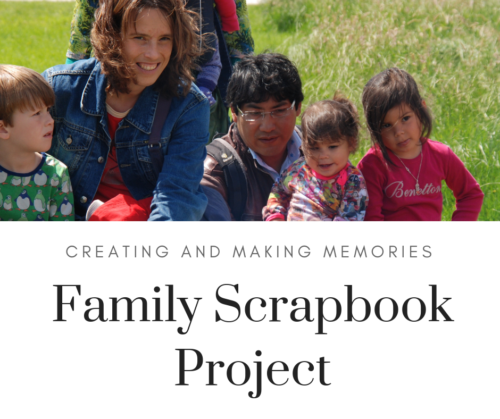 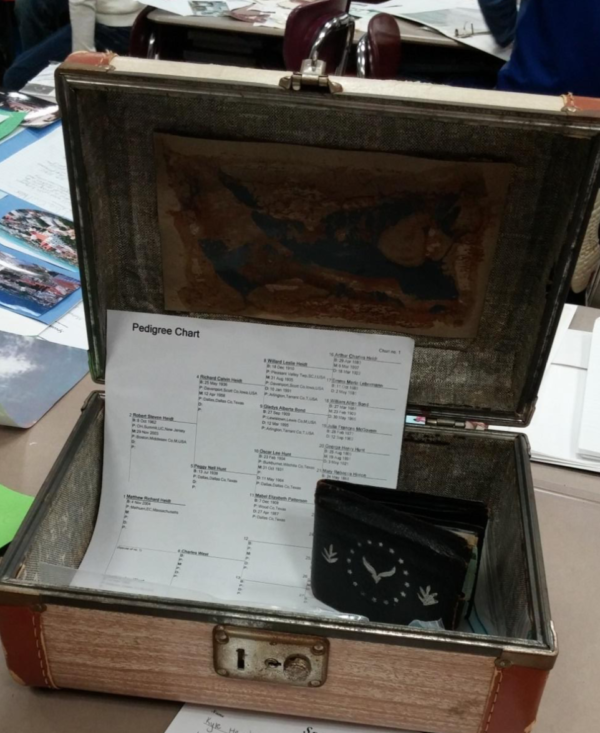 Originally designed to be part of a larger unit on immigration, students are asked to compile a collection of family artifacts that can be kept and treasured. Special attention has been made to create a resource that will work for all students, taking into consideration that everyone has very different family situations. 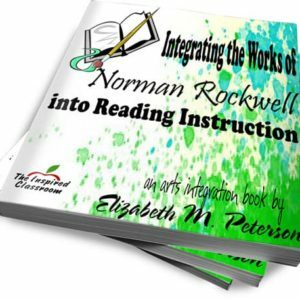 Download and start using this eResource right away! 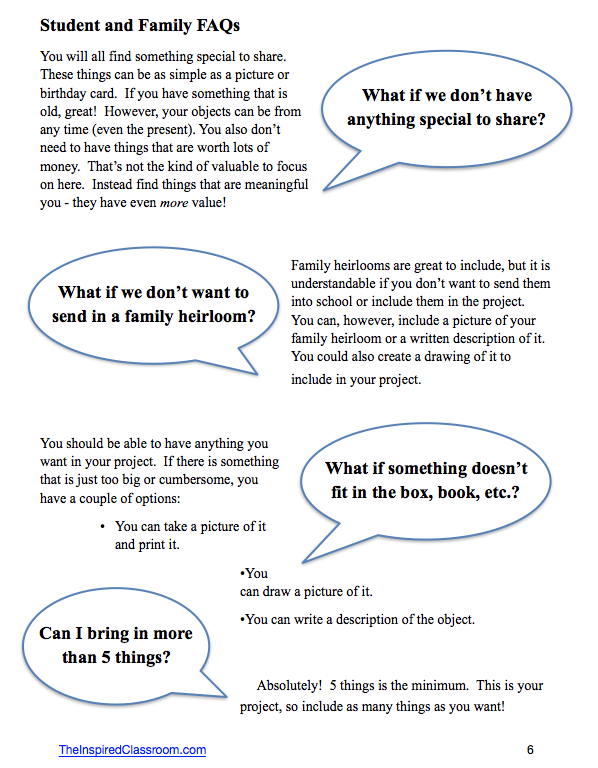 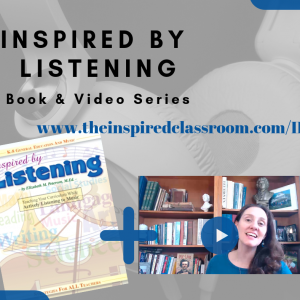 The philosophy behind the project – Why you need to do this with your students! 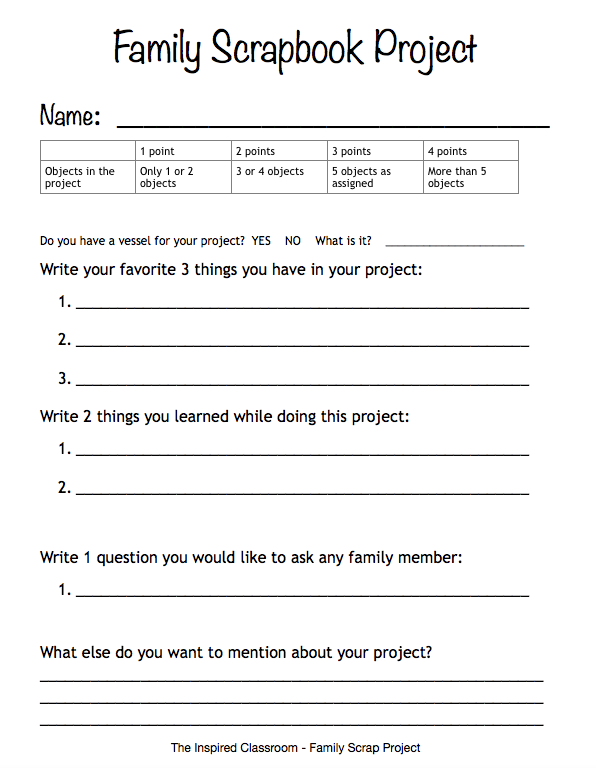 Record keeping sheets for YOU!